All of Collins Organizers will make your sewing space tidier and easier to access. 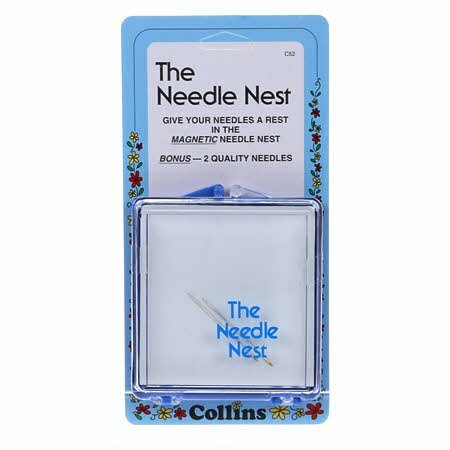 The Needle Nest Magnetic- The clear plastic case has a magnetic base that holds your needles in place giving you access to your needles at a glance, and can easily fit in a purse for travelling. Comes with two bonus needles. The case is approximately 2 5/8"x 3.25". Small enough to fit in your purse or quilting tote.